A brief video featuring quotes from Bl. 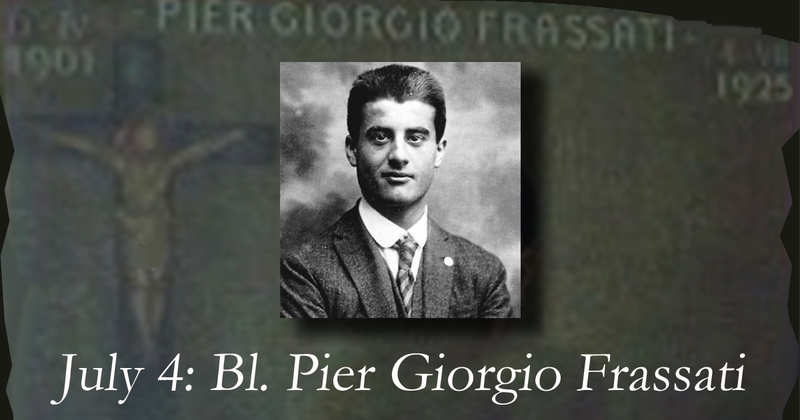 Pier Giorgio Frassati. Great stuff. In the biography of him that appears in our Society of St Vincent de Paul USA Manual, he appears a bit more stiff. There is a warmness and compassion to the quotes included here that bring him into a whole different light. As his quote alluded, perhaps we are seeing him now with that light he could see around the sick and the poor. Thanks for bringing us closer to him. Thank you, Larry. I think one of the best things about this website is getting to know our Saints and sort of falling in love with their stories… each of them so unique. Thank you Monica it is wonderful you are before time making us ready to receive the special grace store for the Vincentians in this special year. You’re welcome and thank you for your encouragement, Sr. Teresa! Thank you so much for these thoughts on holiness.